Where Does Your Trash End Up? Trash and recycling are hot topics these days and communities all over the country are coping with changes in the recycling market and closure of landfills. This article is about our trash in Andover, what’s left over when you have finished recycling. 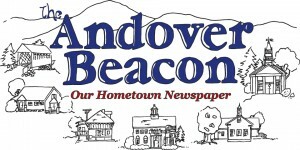 Andover is one of 27 towns belonging to the Concord Regional Solid Waste Resource Recover Cooperative. All members bring their solid waste to the incinerator in Penacook, operated by Wheelabrator Concord. As members of the COOP, we get a special rate allowing us to “tip” our post-recycled solid waste for $68 per ton. Average rates outside the COOP are higher at $80 or more per ton. Wheelabrator Concord provides dependable, environmentally safe disposal of up to 575 tons per day of post-recycled waste from homes and businesses in more than two dozen communities as a local fuel to generate as much as 14 MW of clean, renewable electricity for sale to the local utility. The Wheelabrator Concord waste-to-energy facility creates a local-energy ecosystem providing enough power to supply the electrical needs of 14,460 New Hampshire homes as well as its own operations. By using waste materials as a fuel to produce electricity, they offer an environmentally friendly waste disposal option and reduce dependence on landfills. Wheelabrator’s safe, clean solutions to solid-waste disposal are sustainable. They recover thermal energy as high-pressure steam, convert it to electrical energy or steam, which can be sold as its own renewable energy source for local communities. Next time you drive through Boscawen and Penacook to get onto I 93, the big smoke stack you see on your right before you get on the interstate, is the Wheelabrator Concord incinerator where your trash goes. I hope this clears up any misconceptions about where our waste goes- NOT to a landfill, rather to a “trash to energy” plant.